Odder than he has you lot on strings IMO Facts you made up thread for this pish. Had Sandys not come up with The Jewel then defo, look I’d have probably done the same myself but as soon as they say well we will play there then you are pretty much snookered. The previous weeks fixture was off, for whatever reason genuine or not, LEAFA have to take a clubs word for it. They can’t tell Sandys where to play and if Sandys don’t want to move,wether they had a reason for that, only they will know but they don’t have to so that can’t form part of the argument and would be why the meeting wasn’t about that. I’m very much a neutral and I don’t see the argument. Refuse to play at Sandys, fine, within your rights but you can’t refuse to play 2 mins along the road. I will reiterate again, what happened the week before bores no relevance! They surely wont want to go into the playoffs on such bad form but equally how hard does a player go into a 50/50 when all thats at stake is money into the club? I certainly hope RC and DAB players see it that way but its a double edged sword. Anyway, DKD 94th minute winner at Tanndice, throw his shirt into the ref and straight into the shed to see the game out wi the lads. Out of interest, does anyone care either way about Albion Rovers' fate? Only just noticed they were embroiled in a relegation battle. I actually considered watching them next season, but after their Scottish Cup game against Rangers, it transpired that their support that day were essentially Celtic fans. Then to confirm my suspicions a half/half scarf was produced when they played Celtic. It would still be a shame to see them drop out of the league - as I doubt they'd ever come back up - but would East Kilbride have more to offer? 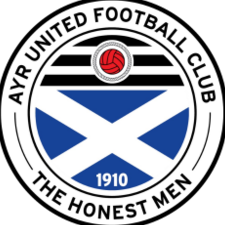 Is there really an Airdrie/Albion rivalry? I know ostensibly there is, but it doesn't seem real given the relative size of the clubs. It's not exactly clear what they can do to force the issue. Between the LL and EoS you're also looking at 21 existing SFA members and there's meant to be a new President (Rod Petrie, who last I heard was unopposed) and VP (Petrie's replacement). So i'm not sure they'd be willing to push this through less than 2 months away from their AGM. As long as the EoS and LL continue with a united front it doesn't look like anything will change for the 2019/20 season. That’s twice you’ve declared victory on behalf of the weird astrophysicist with shite patter. Odd. TBF in Kirkcaldy the coconuts stay at the Links Market, in Edinburgh they are used as projectiles. Just shows what a shambles we are. There are good people in FIFA I was making a start on the weekly objectives in Rivals. Had scored with a La Liga player and subbed on (loan) Del Piero to go for the Italy goal. I was winning 4-1, had all the game, and on three occasions got through on the keeper when I could have scored easily but pulled back to try and force it to Del Piero. No matter what I did I couldn't score with him. I subbed on another Italian in the last 10 minutes and when I got the ball to him, the other guy (took pity on me basically) and made his keeper run off to the side allowing me to score into the open goal. At kick off I passed the ball back to my keeper and allowed his striker to get the ball and get the goal back. Finished 5-2 and the other guy sent me a good game message and I thanked him for the Italy goal. Makes such a nice change from the normal scummy play. Played over 200 games with PIM Puyol and absolutely love him. I'd say he's not quite top level (Maldini or special Van Dijk/Ramos cards) but he's probably best of the rest. I play him beside Ferdinand and you definitely need a big strong guy there for balance. In this years game there's still nothing that stops you making three perfectly good tackles in a row and the opposition still running off with the ball, but since I got Puyol it has made defending a lot more fun. Seems like they should have played the system and used possible asbestos as a reason rather than point blank refusing to play, eh? I think this sets a bad precedent that anyone can claim to have something wrong with their park for whatever reason and not need to provide proof of this.